This is what what I imagine the so-called "pearly white gates" would look like. Kinda off a tad, more of a lush pink curtain than a gate. The kicker --- fifty Louboutin shoes. Now, that's what I call heaven. Don't wanna bore you with all the girly birthday bash details, so check out more info here. 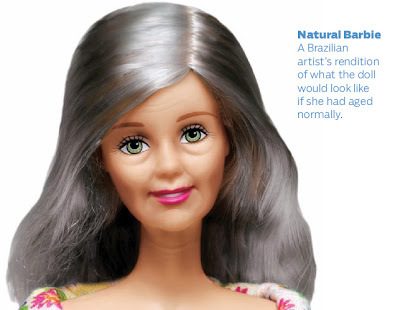 Wonder what Miss B would like if she aged normally, per se?